Certified Professional Dog Trainer & Behaviour Consultant using a scientifically sound, fun, reward-based training philosophy to give you the skills to train your dog. It is fun for both owner and dog! We don't stop at training! We offer many services including Overnight Boarding and Doggy Daycare. Check out the Services tab to see what we offer! We care for your dog on an individual basis to ensure comfort and to give you the peace of mind knowing your dog is well cared for while you travel. Start your dog off on the right paw with classes for puppies up to adult dogs. 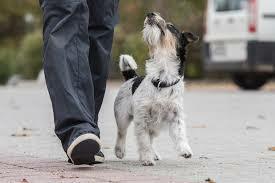 Teach them appropriate behaviour that will make them a reliable, well-mannered pet. Dogs are always learning - every minute of every day. So, why not send them to a daycare that can facilitate that constant learning? Having behavioural issues with your dog? Learn more about how to teach appropriate behaviour and deal with these issues to make life less stressful for you and your dog.